When the history of American cinema since 1950 is written, the name of Sidney Lumet will loom large. In many ways a throwback to the Golden Age of Hollywood of the 30s and 40s, Lumet has demonstrated an ease with a variety of genres, producing a body of work that rivals in quantity and quality many of the most productive studio directors of this famed period. 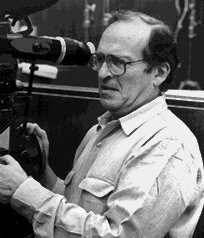 But unlike many of the house directors of the past, Lumet may be considered the primary author of most of his works, a genuine auteur. Whether working in intimate, intense dramas reflecting his experience in the golden age of TV drama (12 ANGRY MEN, 1957, THE OFFENCE, 1973) or larger scale but equally intense urban dramas (PRINCE OF THE CITY, 1981, DOG DAY AFTERNOON, 1975), police thrillers (SERPICO, 1973, Q & A, 1990), musical extravaganzas (THE WIZ, 1978), literate comedies (JUST TELL ME WHAT YOU WANT, 1980, BYE BYE BRAVERMAN, 1968), or stage adaptations (LONG DAY'S JOURNEY INTO NIGHT, 1962), Lumet concentrates on similar themes and issues. And with his own background in acting and theater (he began appearing in Yiddish theater productions in the late 1920s and went on to work on Broadway), Lumet consistently manages to get powerful performances from powerful movie stars. There are a handful of significant recurring subjects in Lumet's cinema. He is extremely concerned with family life, whether actual families, as in LONG DAY'S JOURNEY INTO NIGHT (1962), DANIEL (1983) and RUNNING ON EMPTY (1988), or extended/substitute families, in DOG DAY AFTERNOON and PRINCE OF THE CITY. Within these family groups individuals struggle to form their own identities while also struggling to preserve familial ties-a dilemma central to the plot of A STRANGER AMONG US (1992). Although family life is a common experience, the American cinema has been more often concerned with individuals, with images and ideals of the "self-made man," so Lumet's focus, even if it is broadly conceived at times, marks a significant variation. Lumet is concerned with the struggles and joys of family life-how ethnic, regional or racial subcultures inform our lives and nation. He is equally focused on larger social questions; as few American directors have been, he is interested in understanding how our greater culture works, in the complex social structures that wield influence on our lives. In this respect, NETWORK (1976), a ruthless portrait of the demeaning effects of television written by Paddy Chayefsky, is one of Lumet's most powerful films, as well as one of his most popular. This impulse toward larger issues can also be seen in FAIL-SAFE (1964) and POWER (1986). Lumet also deals with questions of social justice and how history affects and informs individual lives and the life of the nation. All these impulses come together in one of Lumet's masterpieces, THE PAWNBROKER (1965). This story of a survivor of the Nazi Holocaust demonstrates the tragedy of the loss of family and the need to continue to reach out for new relationships and new families, how social injustice needs to be countered by all of us wherever it is found, and how history is forgotten at our individual and national peril.